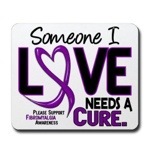 It’s May 12th which means two things to me this year; Mothers Day and Fibromyalgia Awareness Day. Both of these have played a huge part in my life. One a little ok a lot longer than the other. My mother and I have had a relationship that goes beyond words. Like any good, great rather, mom she has been there to lift me when when I’ve fallen. She has wiped away my tears, she’s encouraged me to try new things and given me the occasional “cowgirl up” speech. Things have changed drastically for both my mom and I in the last year. I won’t go into detail, mostly to respect her privacy but also to save myself (and maybe you) the tears. Our relationship has even changed, I believe for the better. My mom has been the one person I can depend on through life. Whether it be a breakup, losing a job, dropping out of college, another break up, becoming a mother myself, yet more breakups and now my health, she has yet to leave my side. I pray that I’m half the mom she is. My daughter’s father and I had separated when she was about a year old. I never really did get to celebrate Mother’s Day. No flowers or cards, breakfast in bed or thank yous. Nonetheless I was grateful to have my lil princess just call me mommy. With all of that being said, I’m brought to the fibromyalgia part of all this. I was diagnosed with FM a year ago. However, I believe I’ve had it since around age 14. (I’ll save that for another post). It makes life and motherhood extremely difficult. There isn’t much literature on FM. There’s a monster list of symptoms and no cure. Doctors don’t know what causes it (though there are theories) and there’s no definitive tests. Some doctors and family members and friends don’t believe it even exists. I’m here to tell you FIBROMYALGIA EXISTS. We need to raise awareness and find a cure. People, just like me, suffer every single day of their lives. It’s time to put an end to the judgmental looks, hurtful comments and physical pain. We have voices that need to be heard and faces that belong to this invisible illness. It’s time to fix this!